"Forced Into A Car, Never To Return"
On February 28th 1947, at 9:00am, a crowd marched loudly to a police dispatch station in Taihei-cho (太平町), surrounded the dispatch chief and beat him up. Taipei city dwellers were furious with the Chinese Nationalists' economic mismanagement and brazen corruption. The breaking point came on February 27th, when a monopoly bureau agent beat a cigarette vendor in broad daylight, and then shot a bystander while trying to escape a tense showdown between gun-toting agents and the public. One hour later, the crowd marched to a branch of the Taipei Monopoly Bureau in Honmachi-cho (本町). The bureau agents were outnumbered; the crowd severely injured four agents and beat another to death. They burned down cars and cycles, and then the bureau office, which was full of matches, tobacco and alcohol. At 1:00pm, they were on their way to the Chief Executive's Office (now the Executive Yuan), but when they arrived, officers fired from the terrace, killing members of the crowd. Some of the crowd made their way to New Park (now 228 Memorial Peace Park), and at 2:00pm, they occupied the radio broadcast bureau there, and began reporting on-air the turn of events in Taipei; they criticized chief executive Chen Yi (陳儀) for corruption, and giving the people no means of livelihood. At 3:00pm, the Taiwan Garrison Command announced a "temporary martial law". Chen Yi was struggling to reassert KMT control. He begrudgingly accepted the formation of a Taiwanese-led committee to investigate the events of February 27-28, but gave notice that the group had to be renamed from the "Cigarette and Murder Investigation Committee" (緝煙血案調查委員會) to the "228 Incident Settlement Committee" (二二八事件處理委員會). "A telegram has already been sent to Chairman Chiang Kai-shek (蔣介石) to mobilize the 21st Division to strengthen troop numbers in Taiwan and pacify the rebellion." On March the 2nd, more than a thousand student representatives from Taiwan's higher institutions -- including National Taiwan University, Yanping College and Taiwan Provincial College -- gathered to meet at Zhongshan Hall. They were eager to help the Settlement Committee. But the KMT looked to exploit the students' zeal. On March the 3rd, the KMT's Taipei provisional public security committee instructed Hsu Te-hui (許德輝) to head a special unit, called the "Loyalty Services Unit" (忠義服務隊). Hsu was a "banshan", a Taiwanese operative loyal to the KMT. He was also involved in the criminal underworld. The Loyalty Services Unit was tasked with recruiting students to maintain public order, and by all appearances, was in support of the Settlement Committee. But in reality, Hsu was carrying out counter-insurrection activity, and pushed the Taiwanese students to inflame tensions between locals and recent Chinese immigrants. "Chief executive Chen, an infantry group and a military-police group are on their way, and will mobilize from Shanghai on the 7th. Don't worry." On the 6th, the Settlement Committee met at Zhongshan Hall to draft a series of requests for the KMT that would rectify the events of February 27-28. Ong Thiam-teng (王添灯), a prominent local politician and newspaper editor, was the primary drafter of the "32 Demands", and it was set to be broadcast in five languages: Mandarin Chinese, Taiwanese Hokkien, Hakka Chinese, English and Japanese. But after the first set of Demands were written up, there were some at Zhongshan Hall who pushed for more radical demands; some suspect KMT agents and agitated students played a role. Chen Yi was furious with the "42 Demands", calling the Settlement Committee "shameless". Then, a strange incident occurred on March the 8th. The KMT claimed that a mob from the Taipei suburbs "attacked" the Yuanshan Naval Office, forcing the military to retaliate; more than 100 students ages 18 to 19 were killed. An observer who saw the bodies at the scene said none of the youth were carrying arms or showed signs of battle. Some of the youths were believed to be members of Hsu Te-hui's Loyalty Services Unit. Taipei City once again announced martial law on the 9th. Lin Dingli (林頂立) — a banshan who worked for the KMT's military intelligence bureau — received the go ahead to establish the Special Activities Unit (特別行動隊), a Stasi-like state security unit that would handle extrajudicial executions. That afternoon, troops were dispatched to Hsien-kung Temple market (near present day Shenling Temple), where they entered homes and killed indiscriminately. By the 10th, the 21st Division's 438th regiment was moving quickly to capture control of the area between Keelung and Taipei. State security officers were instructed to round up "domestic traitors" and secretly arrested members of the Settlement Committee, including Lin Lien-tsung (林連宗), Lee Jui-han (李瑞漢). The next day, they arrested Ong Thiam-teng. The Taiwan Garrison Command also ordered the People's Herald (人民導報), the Taiwan Minpao (民報), the Chungwai Daily (中外日報) and other newspapers to close operations. Restaurant owner Tu Ma-su (杜媽思) was robbed of all his possessions by soldiers; the same soldiers then returned in the afternoon to kill Tu in the streets. 10-year-old Liao Hsin-ping (廖心平) was also killed by a soldier on the street. Staff from the Japanese edition of the Taiwan Shin Sheng Daily News disappeared, and so did Taipei city councillors Ng Tiau-sing (黃朝生) and Chen Wu (陳屋). Ta Ming Pao (大明報) journalist Ai Lu-sheng (艾璐生) was found dead under Taipei Bridge. Public prosecutor Ngo Hong-ki (吳鴻麒) was arrested at his high court office. Chen Peng-yun (陳鵬雲) attended protests during 228, then left the country for a year and seven months to escape prosecution. When he returned in 1950, he was sent to Green Island to perform hard labour for 15 years for his role in organizing train worker unions for the Chinese Communist Party's Taiwan Province Working Committee. Liao Chin-ping (廖進平) went missing at Bali port after criticizing the police's overbearing behaviour during 228. His son, Liao Te-hsiong (廖德雄) was a student representative for the Settlement Committee, and was also recruited by Hsu Te-hui's Loyalty Services Unit to agitate Chinese and Taiwanese. Provincial representatives for Tamsui Lin Tzu-shan (李祖山) and Lin Shih-ting (林石定) were executed by gunfire. The above events can only be a partial list about what happened, because altogether, just too many people suffered. 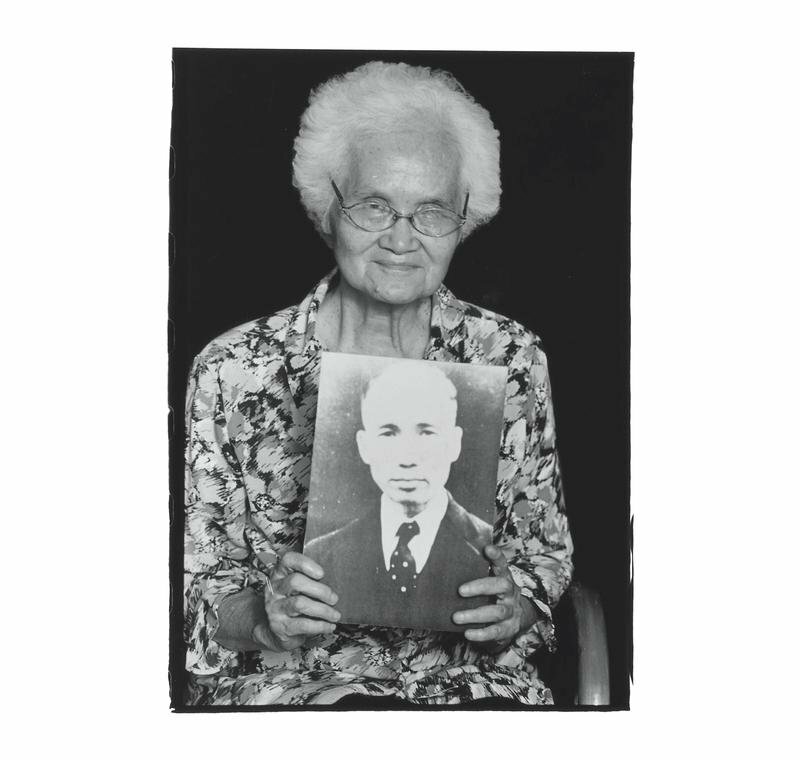 Huang Hsiu-wan with photo of Ong Thiam-teng. Photo courtesy of Pan Hsiao-hsia, from the book Testimonies of 228 (見證228). During the Japanese occupation, grandfather joined the Taiwan Cultural Association (臺灣文化協會), a civic organization that fostered Taiwanese nationalism. He was always blunt about political and social issues. After the war, he served as a Taiwan Provincial Council member. He was also editor-in-chief of the People's Herald, which frequently criticized the government. After the events of February 27-28, grandfather helped establish the Settlement Committee, and helped draft the 32 Demands. On March 7, he broadcast the 32 Demands to the Taiwanese public, and said Chen Yi refuses to see the truth of the current situation. "We do not distinguish between Taiwanese (bensheng) and Chinese (waisheng), our goal is to defeat corrupt officials and hope that all of our compatriots will continue to struggle on!" he said. After the military arrived, he refused advice to go into hiding. In the early morning of the 11th, he was arrested, and put onto a jeep; There was no more news of him, as if he had evaporated from this world. Was he killed, was he burned alive? We have nothing but hearsay. Grandfather was a martyr, he sacrificed himself to be the mouthpiece of the people, and he's not a victim. We are proud of him and proud of his sacrifice for the Taiwanese people. 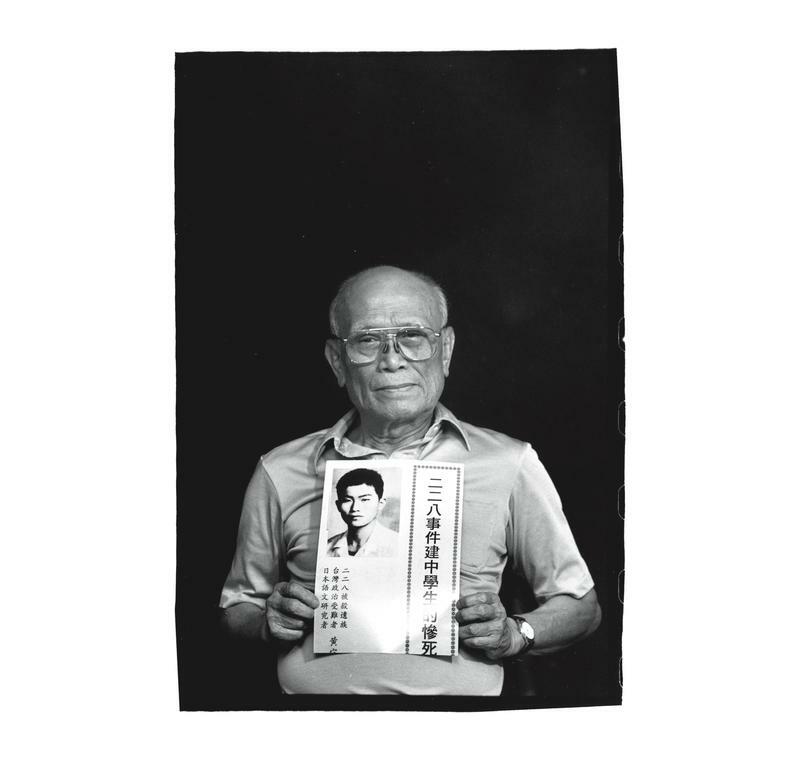 Lin Chung-chi with a photo of his grandfather Lin Mosei. Photo courtesy of Pan Hsiao-hsia, from the book Testimonies of 228 (見證228). Grandfather graduated from the University of Tokyo, and received his Ph.D. from Columbia University. After the war, he became the acting dean for the college of liberal arts at National Taiwan University. He was also the president of the Taiwan Minpao (台灣民報), which regularly exposed the corruption of the Chen Yi government. He joined the Settlement Committee, but he wasn't part of any the heated arguments going on in Zhongshan Hall; all the same, he was a thorn in the authorities' side. My impression of grandfather was formed by my elders. Growing up, my parents told me grandfather was missing, but I didn't know why. I remember one day, father was watching TV, and he suddenly started yelling loudly at the government; I was a high school student brainwashed by the party-state regime, I thought, how could father be so disrespectful to the government? My father was so angry that he closed his door. Later on, mother told me that grandfather was a victim of the 228 Massacre. As a member of the third generation of a victim family, I've gradually learned to understand the suffering of my parents and grandparents generation. We ask the government to give us the truth about grandfather. What really happened to him? Where did he die? There's no compensation that could repay his life. The government must face history and provide a full account! 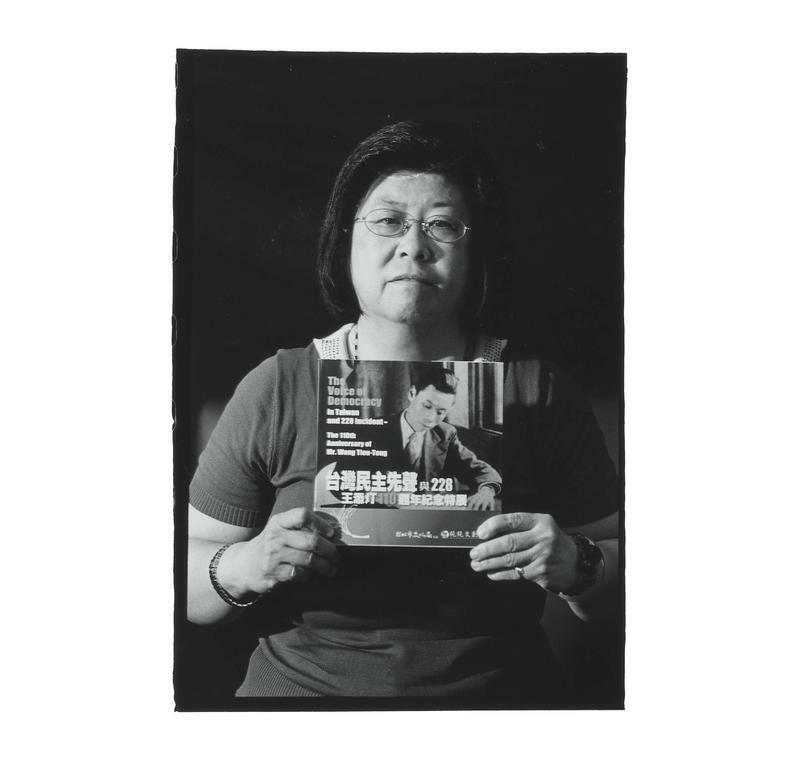 Lin Hsin-yu with a photo of her father Lin Lien-tsung. Photo courtesy of Pan Hsiao-hsia, from the book Testimonies of 228 (見證228). Father graduated from Taichung First Senior High School (the best high school in Taichung) and then graduated from the Faculty of Law at Chuo University in Tokyo. In his second year of university, he passed the Executive and Judicial College Entrance Examination. He later opened a firm in Taichung. He was a Taiwan Provincial Assembly member in 1945, and also represented Taiwan in the National Assembly in Nanjing. On March the 6th, he was selected for the 228 Settlement Committee. He wasn't able to catch the train back to Taichung on the 10th, and stayed at the house of his friend, Lee Ruei-han (李瑞漢). In the middle of the night, four state security officers and military policemen forcibly took away father as well as Lee and his brother, Lee Ruei-feng (李瑞峯). Where they were taken remains unknown. I am Lin's only daughter, and in my dreams, I imagined his return. Every night, I would pray to heaven asking when my father would come home. Tears would wash over my face. I didn't dare speak of my father's situation to my classmates or friends. This kind of hateful political regime, that took the life of a man who remained loyal and patriotic to the party, and hasn't given his family a shred of information about him for 65 years, how could I not hate this party, the KMT? 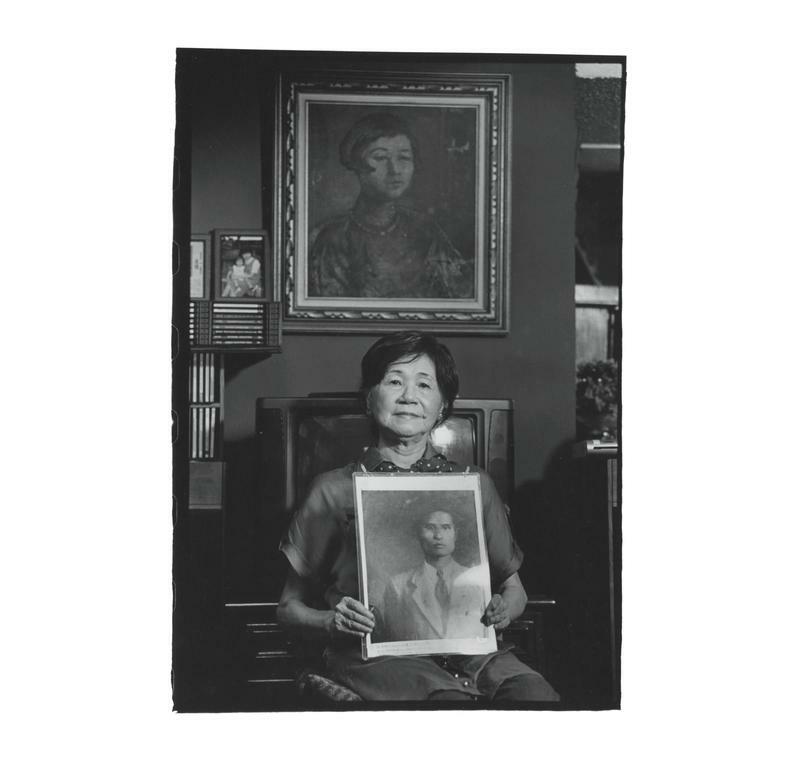 Juan mei-shu holds a photo of her father Juan Chao-jih, with a portrait of her mother Lin Su (林素) painted by Kuo Po-chuan (郭柏川) in back. Photo courtesy of Pan Hsiao-hsia, from the book Testimonies of 228 (見證228). Since he was little, father was an intelligent person. After graduating from Fukushima Takashi (now Fukushima University), he returned to Taiwan to serve as the chairman of the Changfu Commercial Company. Along with friends, he established the Pingtung Trust Corporation (the predecessor to Hua Nan Commercial Bank, one of Taiwan's largest commercial banks). In 1932, he moved to Taipei to take charge of sales and advertising at Taiwan New Minpao (台灣新民報). He was made supervisor by 1939. He also had investments in an automobile manufacturing company. He became general manager of the Hsin-sheng Daily News (台灣新生報) after the war. During the 228 period, he was laid up in bed with asthma complications, and didn't take part in any protests. He was arrested all the same on March the 12th. I still remember in those days how anxious everyone was from all the arrests; the situation was incredibly tense. I went back home that day, and urged my father to stay off the streets. "I didn't do anything, and I didn't commit any crimes. What do I have to run from?" he said. The words were still in my ears when he was arrested that same day. I've spent my whole life trying to find out the truth about his murder. 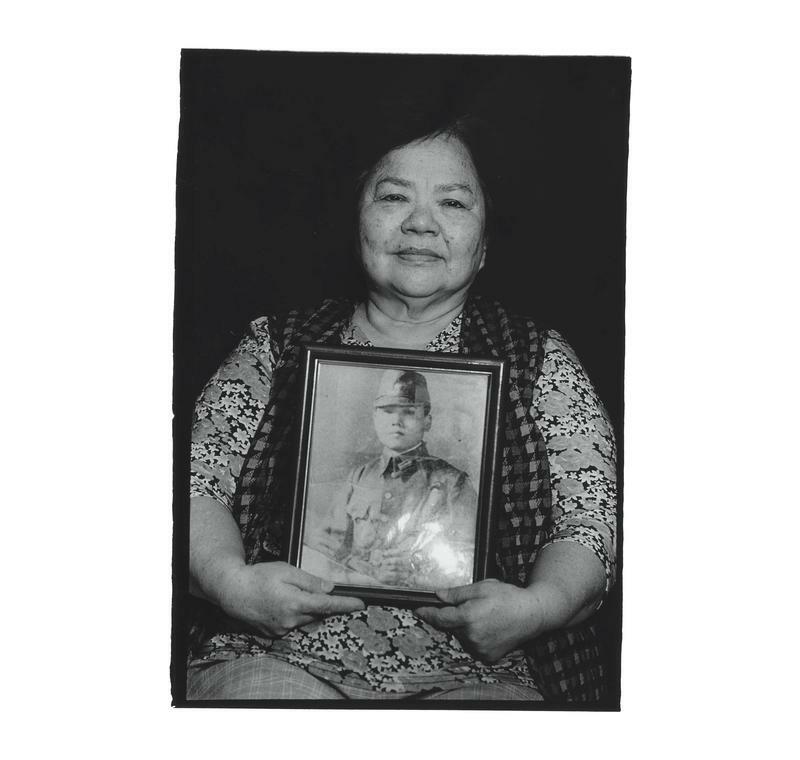 Wu Hsiao-hung with family photo of his father Wu Chin-lien and mother Wu Huang Tien-tzu (吳黃天賜). Photo courtesy of Pan Hsiao-hsia, from the book Testimonies of 228 (見證228). Father graduated from Taihoku Teacher's College (now National Taipei University of Education) and from the department of literature at Aoyama Gakuin University in Tokyo. After the war, he served as the editor-in-chief of the Japanese edition of the Hsin-sheng Daily News. The paper was critical of Chen Yi, and he was censured by authorities on October 25th 1946; he was later re-appointed as deputy editor. On February 27th, an angry crowd surrounded the newspaper's office, demanding they cover the events truthfully. He refused on the grounds that the government prohibited reporting of the incident; the crowd then threatened to burn down the Hsin-sheng Daily News' office. Lee Wan-chu (李萬居), the founder of the paper relented, and wrote about 228. Father was unexpectedly arrested at the office on the 12th, and we don't know how or when he died. A few days later, soldiers came to the Hsin-sheng Daily News dormitory where we lived, and threw all of our furniture and books onto the road in the pouring rain. After that, my mother avoided talking about father. I work at Changhua Bank, and I have a colleague who's also the descendent of a 228 victim, but we don't have any contact with each other. I'm discreet and cautious when talking about this with my children, and I don't talk about politics. 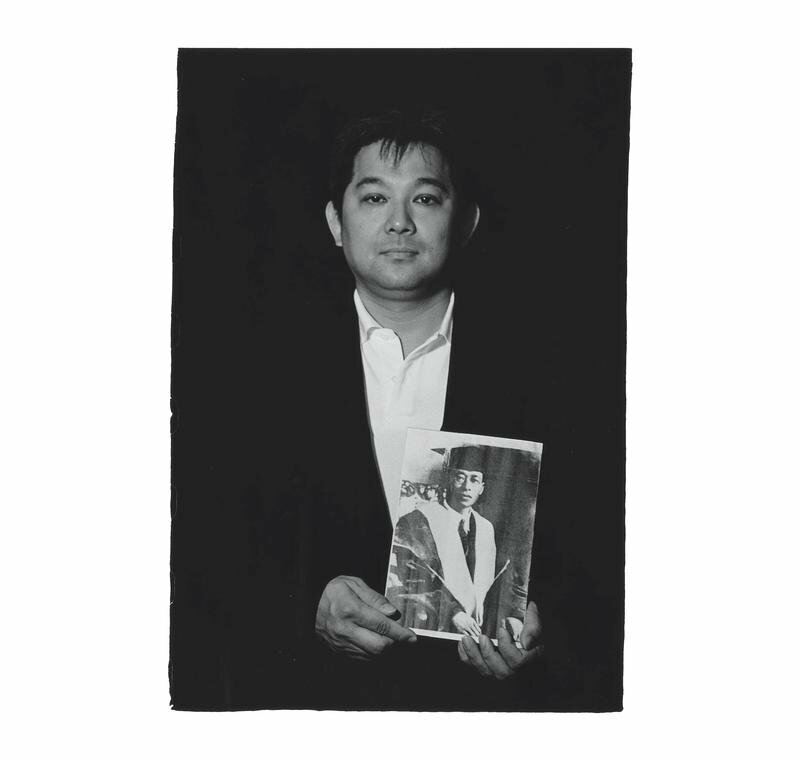 Hsiao Chin-wen with a photo of himself in his youth. Photo courtesy of Pan Hsiao-hsia, from the book Testimonies of 228 (見證228). I once served as a Japanese soldier in Myanmar. During the 228 period, I was a reporter for the Ta Ming Pao (大明報). I lived at the company dormitory, and guarded the printing factory part time. On the day of the 28th, I was awoken by a loud clanging sound; I ran to the Monopoly Bureau office and saw young Taiwanese throwing stones and bricks, with Chinese bureau agents diving for safety into a ditch. I told a bookseller from Shanghai who was nearby not to speak, and escorted him out of the area. In front of the Meteorological Office, a group of officers with guns were beaten back by women wielding wooden sandals. On the morning of March 8th, I was suddenly arrested by a state security officer, accused of printing "reactionary leaflets", and then tortured and interrogated about the whereabouts of Ta Ming Pao founder, Teng Chin-i (鄧進益). After that, they put a black hood over my head, loaded me into a truck, and put me into detention for three months. Some of my classmates at Yanping College were also sent to detention. When general Bai Chongxi (白崇禧) came to Taiwan, he ordered that "all untried persons must not be killed" and my life was spared. 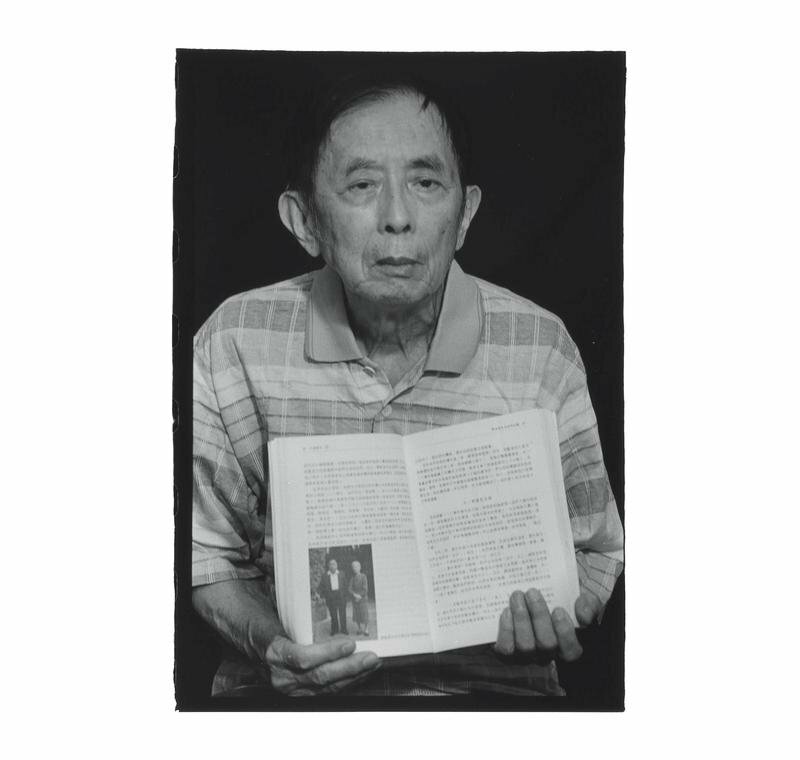 Lu Fang-te holds a book that features his father, Teng Chin-i. Photo courtesy of Pan Hsiao-hsia, from the book Testimonies of 228 (見證228). Father graduated from Taihoku College of Commerce, and opened a paper mill in Shulin after the war. He had three printing factories in Taipei. Lin Tze-wei (林子畏) of the Banqiao Lin Family wanted to start a newspaper, and they worked to establish the Ta Ming Pao. After Chen Yi was dispatched to Taiwan, father took part in a number of activities the government took exception to. He helped put on a one act drama at Zhongshan Hall called "The Wall" (壁), a play that examined the economic disparity between the rich and the poor in Taiwan. He also helped student union's print protest materials before and after the 228 Incident. Shortly after 228, both the police and Hsieh Er (謝娥) -- a prominent female doctor in Taiwan -- urged father to lay low. The authorities ordered his arrest for taking part in the 228 Incident Settlement Committee, and he fled for his life with Chiang Wei-chuan (蔣渭川) to Shanghai; my mother and my relative Hsiao Chin-wen (蕭錦文) were subsequently arrested. 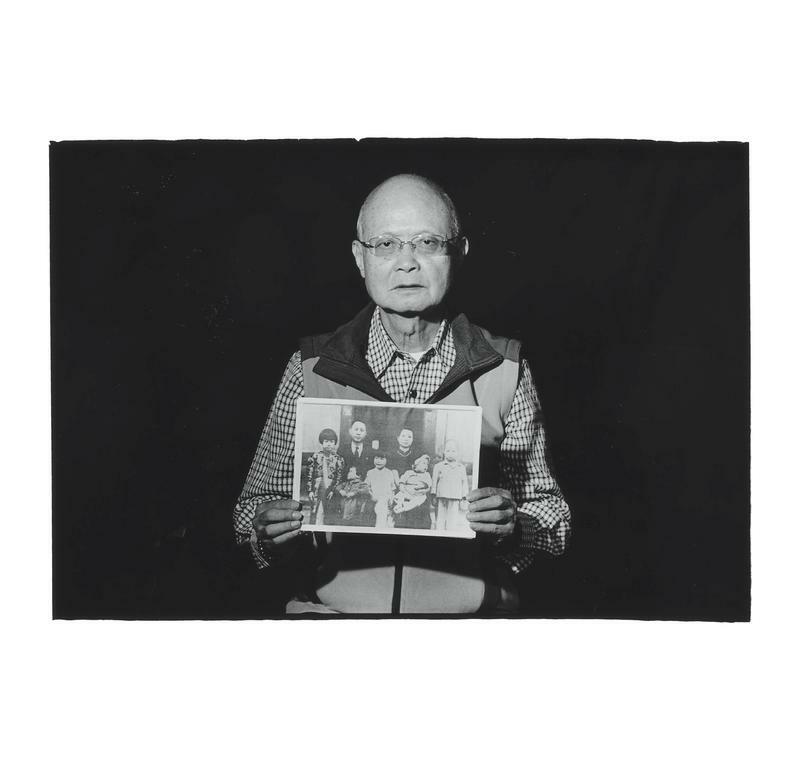 In 1948, father returned to Taiwan and surrendered to the courts. Father was almost implicated in the 1950 arrest of Chung Hao-tung (鍾浩東) a school principal in Keelung accused of inciting an insurrection through the distribution of pro-CCP newspapers. After returning, he almost never spoke of any of this, except when he was especially angry. 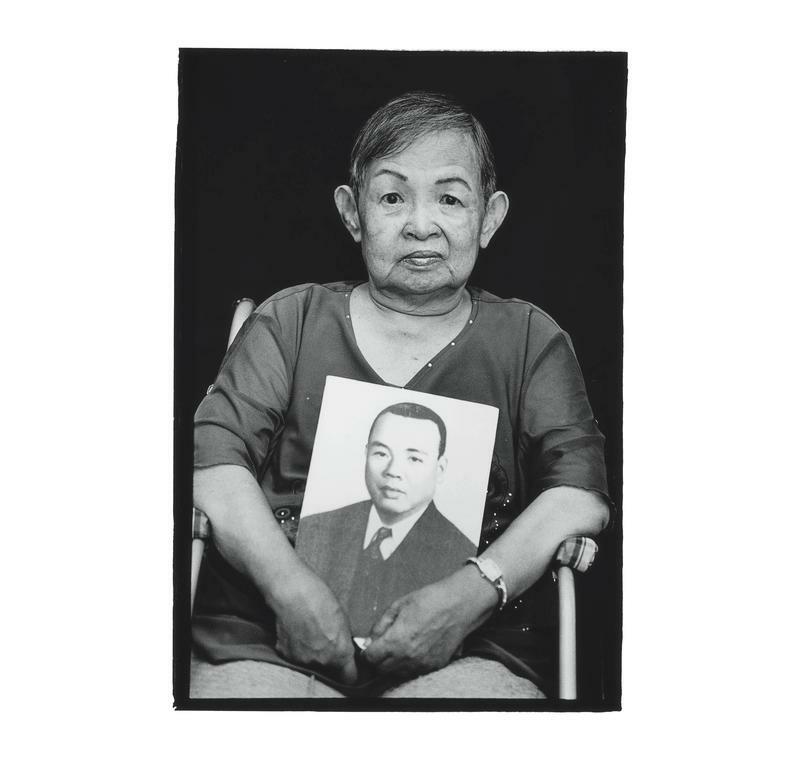 Lien Chen Yu-fei with a portrait of her father, Tan Leng-thong. Photo courtesy of Pan Hsiao-hsia, from the book Testimonies of 228 (見證228). After the 228 Incident, father — who was the Tamkang High School principal at the time — announced the suspension of classes. Unexpectedly, on the morning of the 10th, student Kuo Hsiao-chung (郭曉鐘) was shot dead by soldiers near the post office. Father and instructor Ng Ah-thong (黃阿統) immediately rushed to collect his remains and placed it in the storage room of the gymnasium. The next morning, a group of soldiers rushed to the principal's dormitory and forcibly took away father, wearing only his pajamas. In the teacher's dormitory, Lo Ui (盧園) heard someone calling for help and came to his rescue. The soldiers hit Lo forcefully in the shoulder, blood flowed everywhere, and he later died in hospital. Instructor Ng was also taken away by soldiers; they were then questioned in a garage at a military barracks. Our family was horrified. They found a leaflet in his coat pocket, which served as evidence of anti-government activities. Three days later, our family saw father sitting in the back of a truck as it drove by. That was the last time we saw his face. Lu Fu with a portrait of her second uncle, Lo Ui. Photo courtesy of Pan Hsiao-hsia, from the book Testimonies of 228 (見證228). After studying at Tamkang Senior High School, uncle graduated from the department of fiber chemistry at Ueda College in Nagano in 1944. After the war, he returned to Taiwan and taught chemistry at Tamkang Middle School. He had intentions to propose marriage to someone. On March 11th, he heard Tan Leng-thong's daughter call for help, and he rushed to the perimeter wall to meet Tan and the soldiers. After being interrogated by two soldiers, he was hit hard in the right shoulder by a soldier's handgun, injuring his spine. He was sent to a clinic in Beitou, but after his condition worsened, he was sent to Mackay Hospital in Shuanglian on the 17th. He died on the 18th. When he passed away, my grandfather sighed with grief, "what a slap to our dignity, the most talented member of our family has been snatched from us". I was only five years old at the time, and everything I heard about the incident came from my elders. 66 years later, we still sigh with grief, wondering what life would be like for our family if he were alive today. Now, all I have left of him is a photo, which I place beside our ancestral tablet. Every time I see his portrait, I cannot bear the grief. 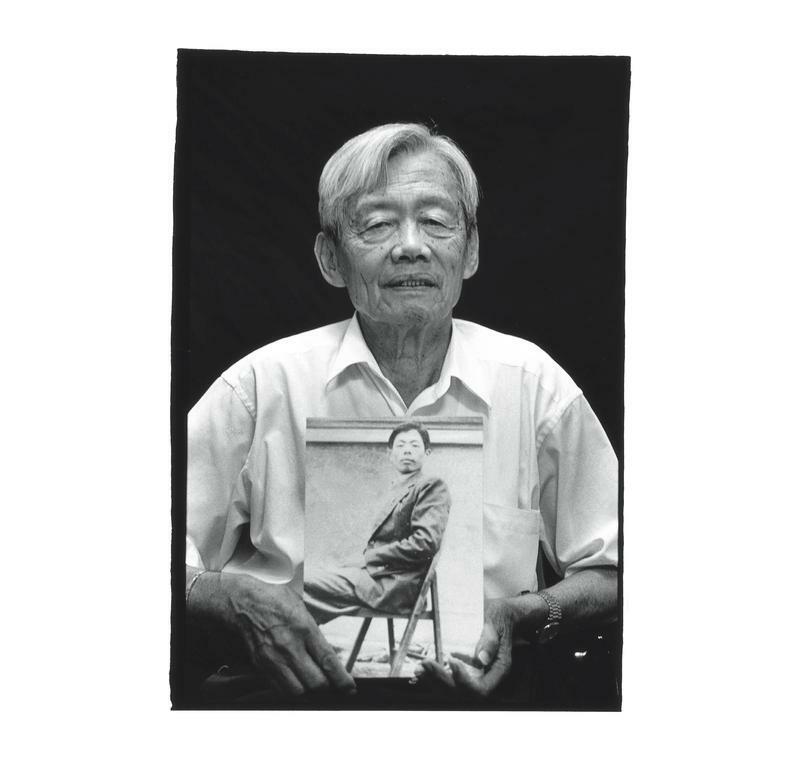 Huang Shou-li with a portrait of his older brother Huang Shou-yi. Photo courtesy of Pan Hsiao-hsia, from the book Testimonies of 228 (見證228). On the morning of the 10th, my second eldest brother, Shou-yi, and my dear mother took my younger brother, Shou-chi (黃守智) out to buy breakfast. Shou-yi was in his junior year at Jianguo Middle School, and Shou-chi was in the 5th grade. On their way there, we ran into three Chinese soldiers robbing someone of their possessions; the soldiers spotted the Jianguo Middle School outfit Shou-yi was wearing, and asked him to come closer. As he did, one of the soldiers suddenly opened fire. People at the scene said each soldier fired a shot at him, taking pleasure in killing my brother, and laughing loudly. After the soldiers left, we carried Shou-yi's lifeless body back home. After cleaning, we found three bullet holes, one shot through the navel, one through his arm, and one through his right thigh. All three gunshot wounds entered as small bullet holes and exited as massive wounds the size of a bowl. Later, we confirmed that they used dum dum bullets (expanding bullets), which are banned under international law. His death was just too terrible to bear.